Winning Percentage = .000683*(runs scored – runs allowed) + .50. With their positive run differential of +11, the Mets were expected to have 82 wins, giving them their first season above .500 since 2008. However, the Mets only finished the season with 79 wins, which raises the question, what went wrong? The answer is simple; they ran into bad luck. Frankly, the Mets should have done even better than their run differential showed. The Mets had a run differential against the Washington Nationals of -43 on the season and an overall run differential of +11. This means that without getting blown out by the Nationals, the Mets would have had a run differential of +54, making them look even better as a team. With this run differential the Mets would have finished with a record of 87-75 making them one game out of a wild card berth. The Mets woes mainly came from one run losses, which they had 29 of. If the Mets had their bullpen working as well as it did in the second half all season, things might have gone differently in those one run games. If the Mets could improve their run differential by about 50 runs from their 2014 runs scored, they could easily be a playoff team. With a strong, dominant pitching staff, the Mets runs allowed could easily be reduced meaning only a minimal increase in offense is all that is necessary to get the Mets to the playoffs. The key to this Mets team is that they won with nearly no production from David Wright, no production from either a shortstop or a left fielder, half a season from d’Arnaud, and no Matt Harvey. Assuming everyone is healthy, they will be gaining a full season from d’Arnaud, a full season from one of the best pitchers in baseball in Matt Harvey, and an all-star caliber third baseman in a healthy David Wright before they even make any offseason moves and before they even increase their payroll. Then, the Mets have excess pitching such as Dillon Gee and Rafael Montero that they can use to trade for a formidable bat in either left field or shortstop. These additions could help the Mets improve their run differential even more than first expected. The key to the Mets offseason plans is the ability to use their assets in pitching to match up with a team who has an abundance of bats. However, the Mets cannot assume all their assets returning can allow them to stand pat. The Mets had breakout seasons from both Jacob deGrom and Lucas Duda last season and those productions should be assumed to go down by a small margin. 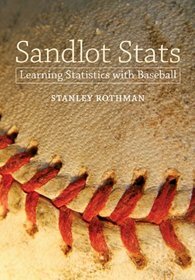 The numbers show that an improvement at shortstop and left field, a rotation featuring Harvey, deGrom, Wheeler, and top prospect Noah Syndergaard, and a continued strong bullpen could lead the Mets to a run differential of +60 leading them to 88 wins (usually a team with at least 88 wins usually will make the playoffs) and a playoff spot in 2015.